A delicate and evocative three tiered heart shaped wedding cake presented on a perspex stand and coated in pale pink Royal Icing. 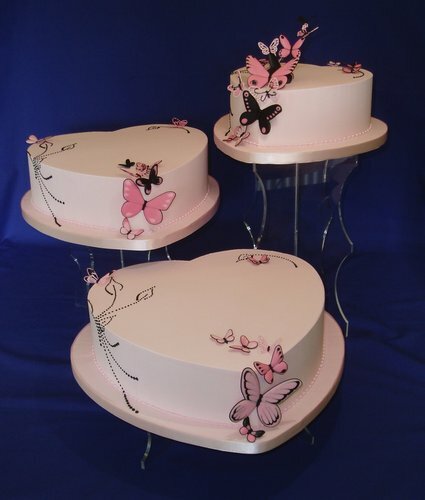 Pink and black butterflies rest on the cakes then take flight from the top tier. Stylised leaves in black add a dramatic accent to the cakes.